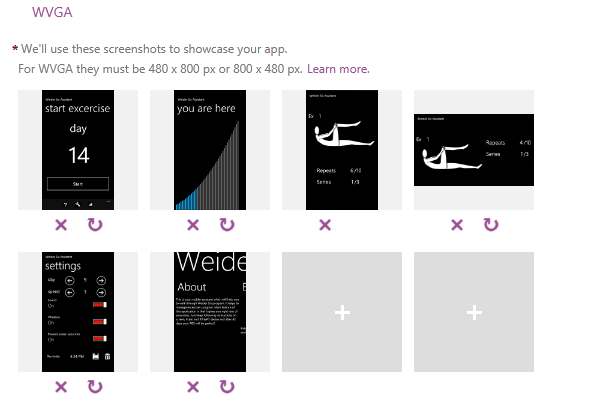 Windows Phone Dev Center – changes! 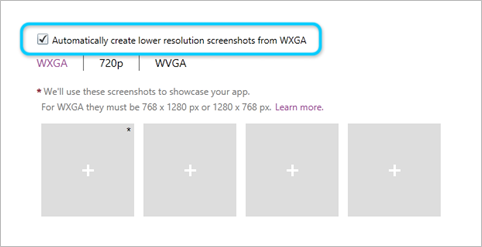 If you published or updated an Windows Phone app today or yesterday using Windows Phone Dev Center, then you could see some changes related to this process. What kind of changes? 1. Possibility to rotate screenshot – many times our apps work in horizontal mode or at least support it. When we want to present such possibility then we can add horizontal pictures, but they will be presented in the same way as others – vertically. Now it has been changed. We can click rotate button for each picture to change way it should be presented. 2. 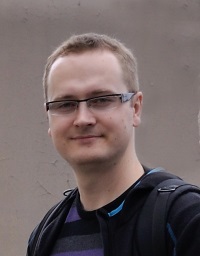 Possibility to remove submitted app or update – it was available for Windows 8 developers – now we can do the same. Why? Lest imagine that just after submiting app you found some dirty bug, bad picture, sound or anything unexpected. What then? 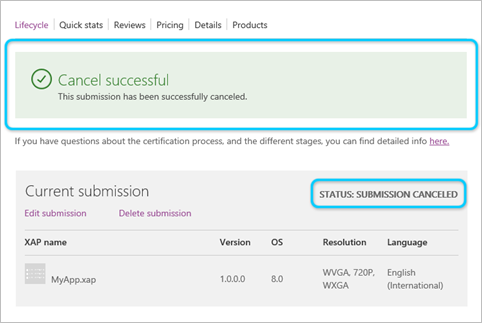 Now we can easly solve this problem simply canceling submission. Great job – this part was suggested during MVP’s meeting with WP Team – well done!